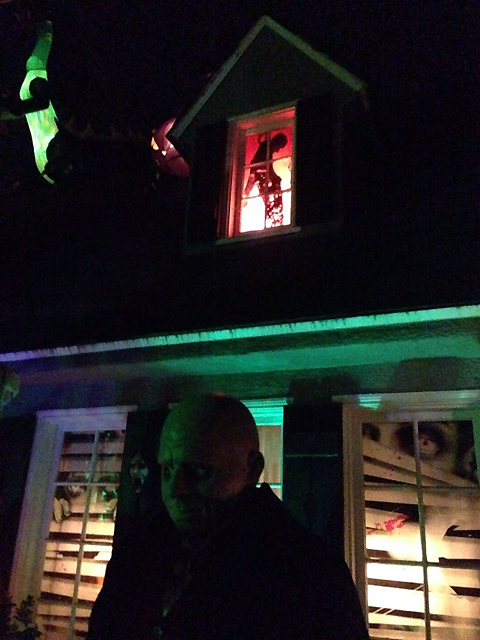 Call Vance Weisbruch info at (626) 639-1713. 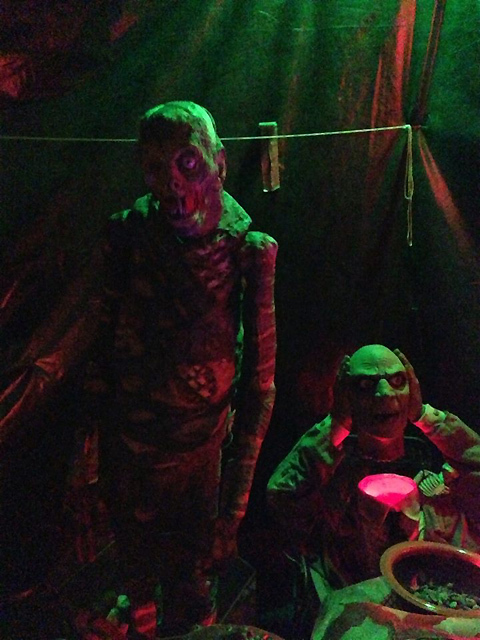 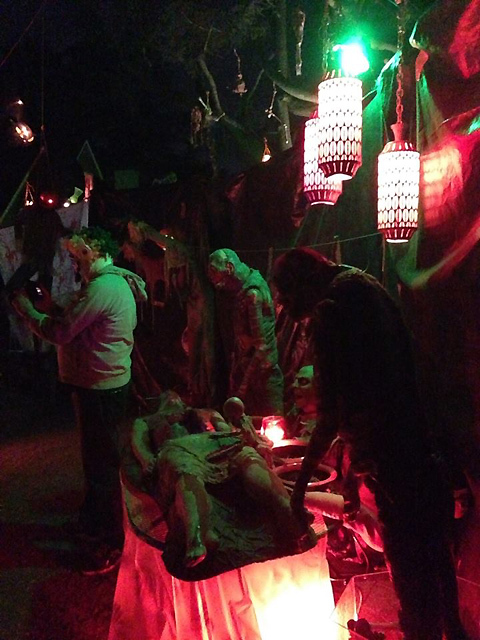 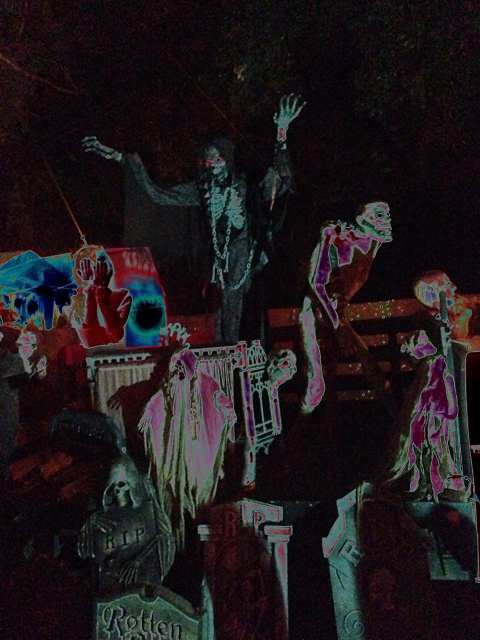 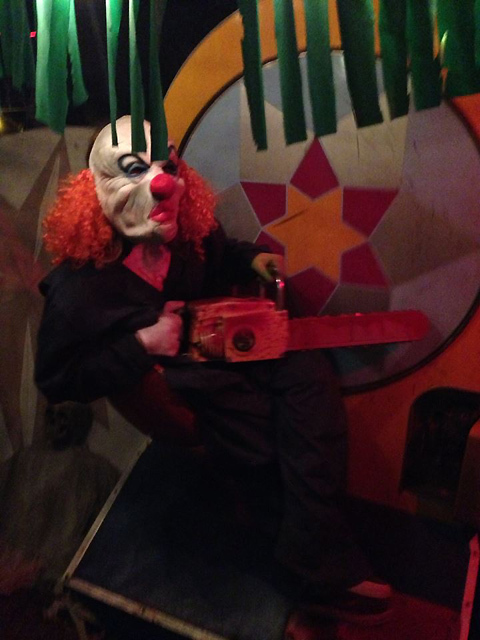 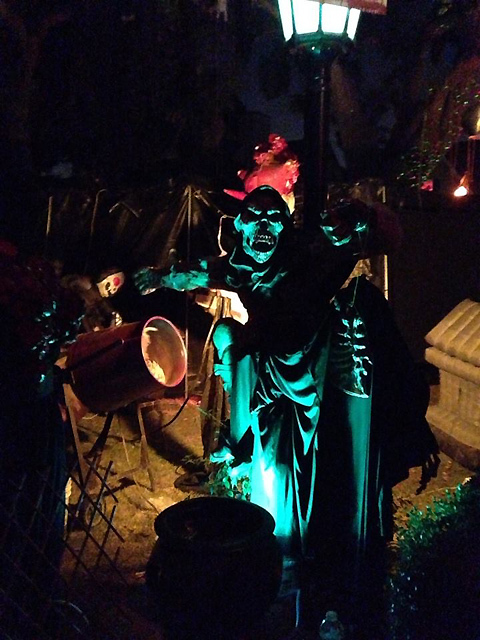 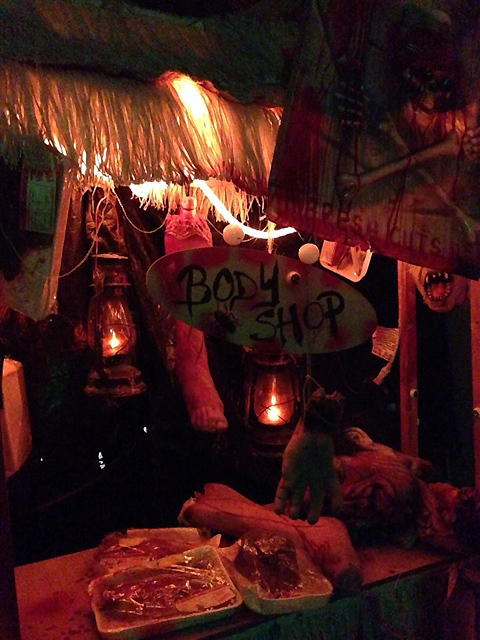 Occasionally referred to as the Balian Mansion of Halloween, this home haunt began terrifying trick-or-treaters in 2000 and continued doing so every October 31 until 2016, drawing crowds of 3,000 or more. 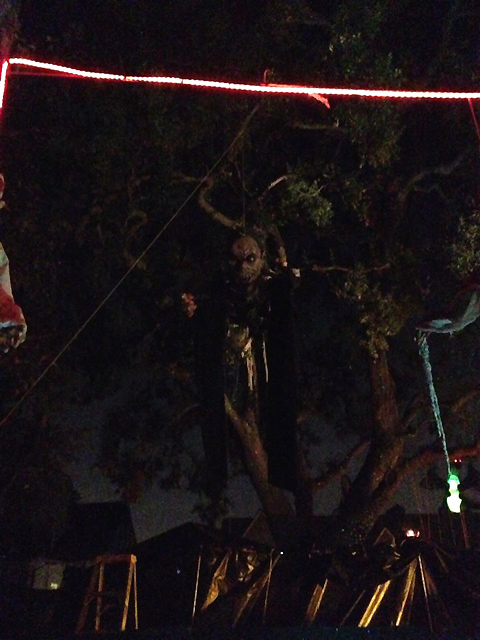 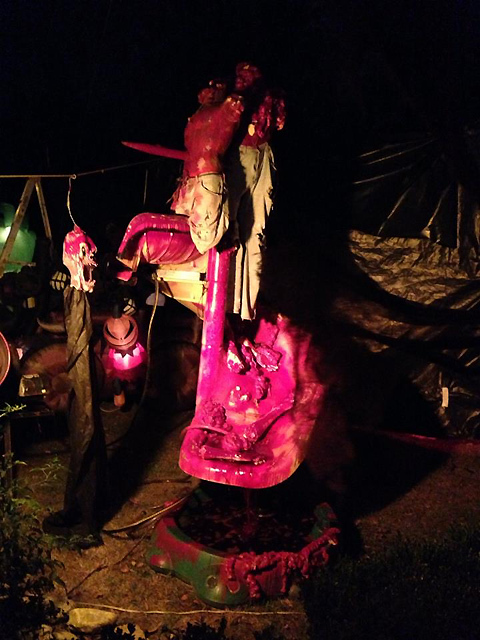 A huge extravaganza, the Braeburn Haunt was loaded with props, decorations, and live actors, situated on an expansive front yard that allowed for a walk through as extensive as many pro haunts. 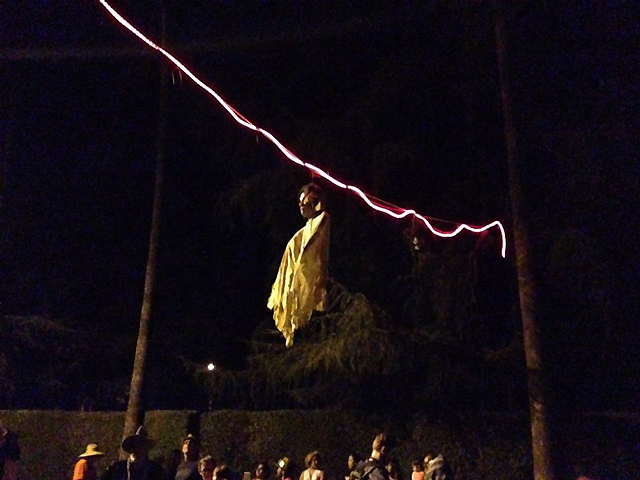 Read about our trip to the Braeburn Haunt here. 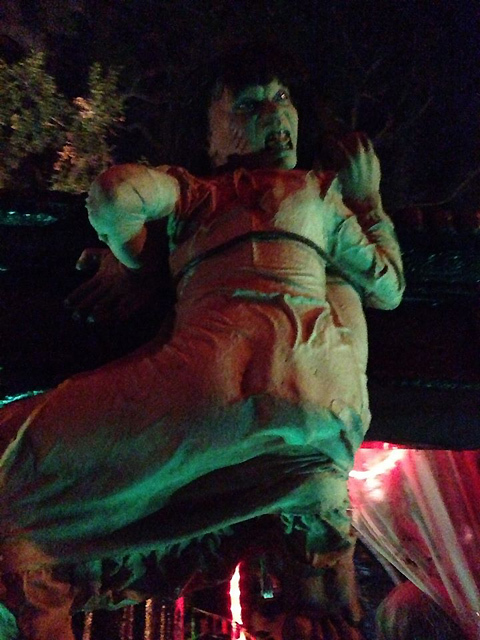 Just before Halloween 2016, the proprietors announced that they were going on hiatus for two or three years, during which time they would consider whether and in what form to resurrect their haunt.